The home page of your website is like the main entrance of a building. In most cases, its purpose is to direct visitors to where they want to go next. Home pages that are unwelcoming, confusing, or not consistent with the offer that brought a visitors there will quickly send them on their way. This leads to high ‘bounce rates’, low conversions, and poor business results. 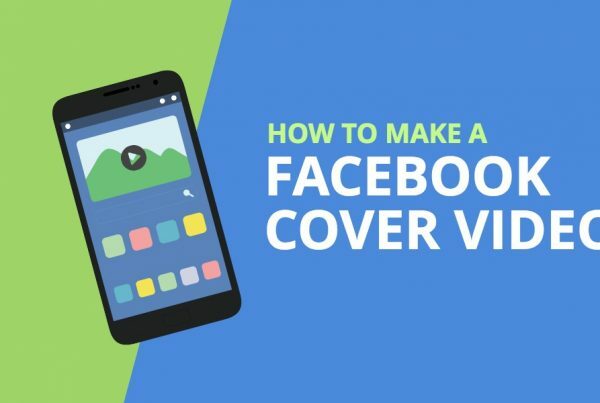 With so much riding on a website’s home page, it’s no wonder that it’s the first place businesses will put a video, and an increasing trend is to have these videos automatically play in the background of the header or even full-screen. But there’s a chance that autoplaying home page video of yours could being doing more harm than good. An image is worth 1,000 words, and people seem to want to read less and less. So how could including a flashy video right on your home page be bad, and are there times when including an autoplay video might be okay? Here are a few considerations to help you rethink the autoplay home page video. It slows down what is probably the most important page on your website. The homepage is typically not only the most visited landing page, but also the entry point for most visitors to your website. As Wistia’s Phil Nottingham points out “first impressions matter. In a world where 57% of online shoppers supposedly abandon a page after 3 seconds of load time, and slow pages tend to rank worse in google search (particularly on mobile searches), you really can’t afford to have a sluggish homepage. There are ways to ensure that your video begins loading only once the page itself has loaded, using what’s called an ‘asynchronous embed’. But this still can result in a large, blank background on your header or, worse yet, the entire screen if your video is attempting to load fullscreen. Take a look at the example below for the Hollywood film Life of Pi to see what I mean. 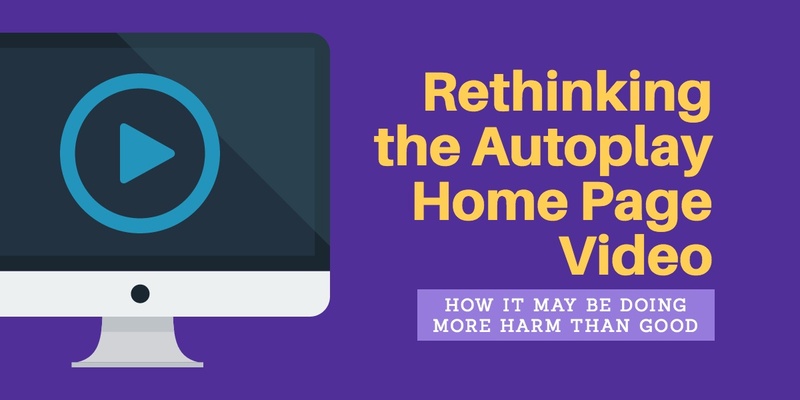 The question you need to ask yourself, is whether any positive impacts of an autoplaying video on your home page outweigh the potential loss of visitors who can’t load your page in a reasonable amount of time. Consider as well what percentage of your visitors are on mobile, where the problem is even worse than for desktop visitors. It can distract from your main call-to-action. Making your home page more content-rich can not only help it rank higher in Google to drive more traffic to your home page, but focussing the viewer’s attention on a specific call-to-action might help to drive more conversions as well. This may be to sign up for a demo, or simply visit another page on the website. Ask yourself, what’s the next action that you want viewers to take now that they’re on your home page? Is it for them to sit and watch your video all the way to the end before doing anything else, or was the video really just meant as window dressing? 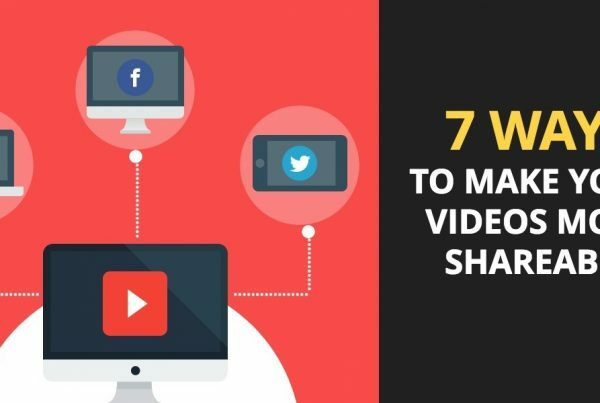 Unless watching your video is your main call-to-action. Using a video on your homepage or in a header elsewhere on your website may be appropriate when the action you’d like a viewer to take is in fact to click on a button in order to watch a video. In this case, you might consider the silent, autoplaying version of your video as a ‘trailer’ for the main video. We use this technique throughout our websites in the header, like in the example below where we try to entice viewers to watch our demo reel. What we feel works well about the example above is the minimal amount of movement in the video. This means that when the video pops-up, the background video won’t be too distracting as it continues to play. Compare this to the second example below from our Meet the Team page. Although the background video still has very little movement or cuts, it may still be a little distracting to viewers once the video pops-up over top. Just imagine how distracting it could be with the more ‘action packed’ videos you typically see. 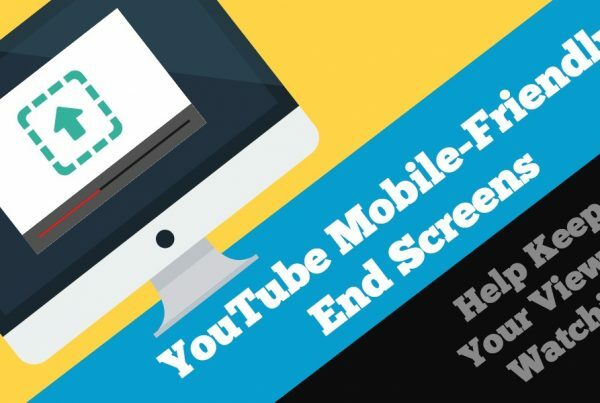 Many templates for popular website platforms like WordPress come setup with video background elements and headers, making it very tempting to use silent autoplaying video as window dressing all over your website. But it’s a good idea to think twice about this tactic, especially when it comes to your home page. If the video is simple and ‘slow moving’ enough to not be overly distracting from your calls-to-action or other elements on a webpage, then great. If that autoplaying video is also trying to call attention to a button so that viewers can view the full video (without the background video then becoming a distraction), even better. Context is important above all. In either case, be sure to test your website loading speeds and to A/B split test the results whenever possible. Read Phil’s ful article 6 Reasons Why You Shouldn’t Have an Autoplaying Homepage Video, and be sure to download our Guide to Getting Started with Video Hosting & Optimization to learn more.